Panel Built employees go above and beyond on a regular basis; and we feel it is our responsibility to show those employees our gratitude. 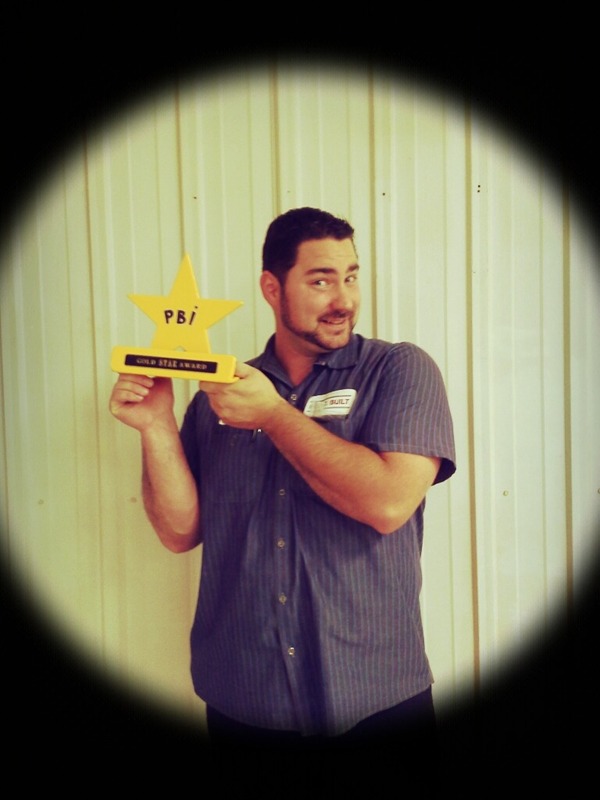 That is why Panel Built gives out a Gold Star award for employees that show the passion and dedication necessary to ensure our premium product reaches our customers in a timely manner, and with the level of quality associated with a Panel Built, Inc. product. Panel Line Supervisor Pete Rotko was recently awarded the gold star after being nominated by fellow employees for his 14 years of hard work. Pete does more than his workload and is known as “The Renaissance Man.” Panel Line Manager Lee says, “Pete go fix it,” and is confident it will be handled the right way the first time, every time. Pete was awarded the Gold Star at the Annual Company Bowling Party, so he had more than his ball to buff! Pete’s ability and willingness to go above and beyond mirror the great work ethic we hold as a whole at Panel Built. Thanks for the hard work and commitment to the Panel Built Way, Pete!